Displays data in the form of a tree-like structure. 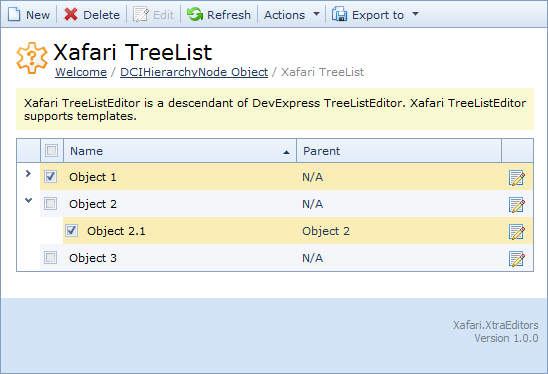 Xafari Tree List Editor derived from the DevExpress Tree List Editors (Win and Web respectively). Win version supports Multiple Selection by Check Boxes, it is described below. Web version supports Web Editors Templates technology. 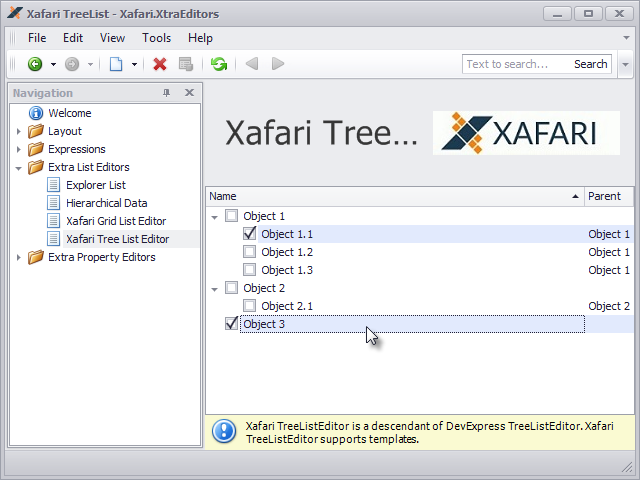 To display tree-like data via the Xafari Tree List Editor, invoke Model Editor and focus the corresponding Views|…_ListView node, set PropertyEditorType property to the XafariTreeListEditor (or ASPxXafariTreeListEditor) value. To activate Multiple selection with CheckBox functionality, set ShowCheckBoxes property to the True value. 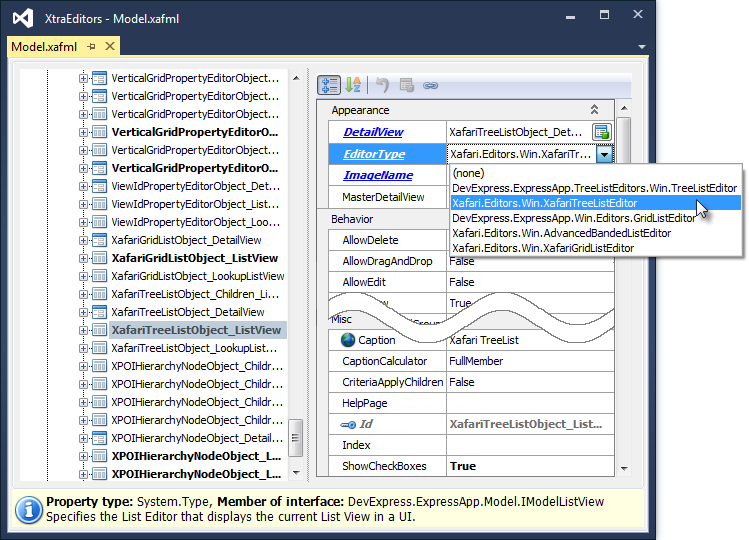 To see the result, run the application and navigate to the corresponding List View. To learn about using check boxes, refer to the Multiple selection with CheckBox post. To learn about Web template customization, refer to the Web Editors Templates section.